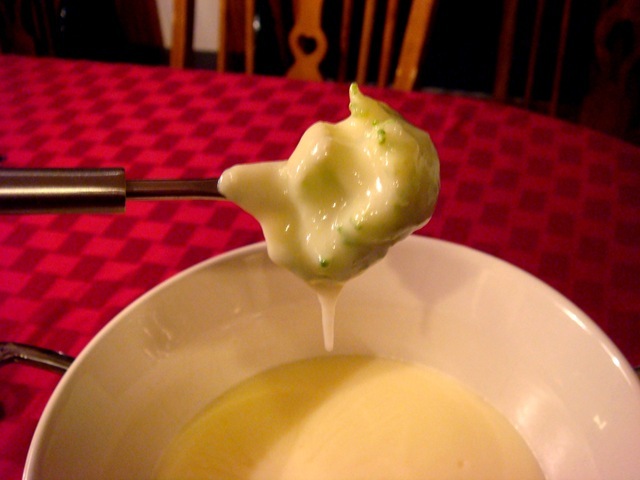 Vanilla Custard Fondue – specifically for the non-chocolate eating Little A, but it was definitely enjoyed by all! Today I will share our savory fondues: the cheese and pizza fondues, and then tomorrow everyone’s favorites: the dessert fondues. The Kid Friendly Cheese Fondue was a pretty standard cheese fondue recipe, but I substituted chicken broth for most of the wine (which I completely boiled down to remove the alcohol) and used a combination of Gruyere and Muenster cheeses, for a slightly milder taste than an all Gruyere/Swiss combination. The Pizza Fondue was a super fun kid favorite. 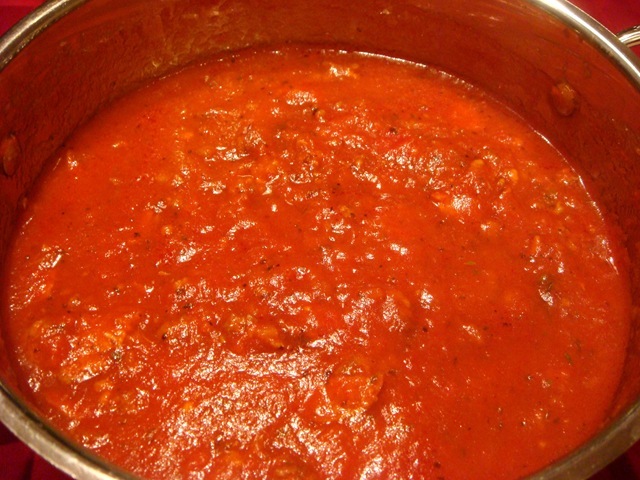 The dip was an easy-to-assemble “pizza sauce” full of sausage and chopped pepperoni. We then dipped bread cubes, mozzarella cubes, and other “pizza toppings” (olives, mushrooms, peppers, broccoli-you can get creative here!) in the sauce. If you let the cheese cubes sit in the fondue for a little while (on your stick), it gets wonderfully melted and gooey! Or try putting two or three pizza items on a fondue stick for the full pizza experience. The bread and vegetable trays were shared between the two fondues. The cheese cubes were just for the pizza fondue-cheese on cheese is a little too much for even a cheese-lover like me. What to do with leftover pizza fondue? Make a real pizza, of course! Make (or buy) a crust, use the fondue for the sauce, top with the chunks of mozzarella and slice up your favorite toppings from the dipping plate. I love getting two family-friendly meals from one day of food prep! And how about that leftover cheese fondue? Heat it up again with some heavy cream or half-and-half, pour it over some sliced potatoes (add some onions and diced red peppers, if you want) and bake until tender. Then pretend you slaved all day over these fabulous Au Gratin Potatoes. Double boiler: heat water in the bottom pot of a double boiler, set on a trivet and put your top pot with your fondue mixture over the hot water. 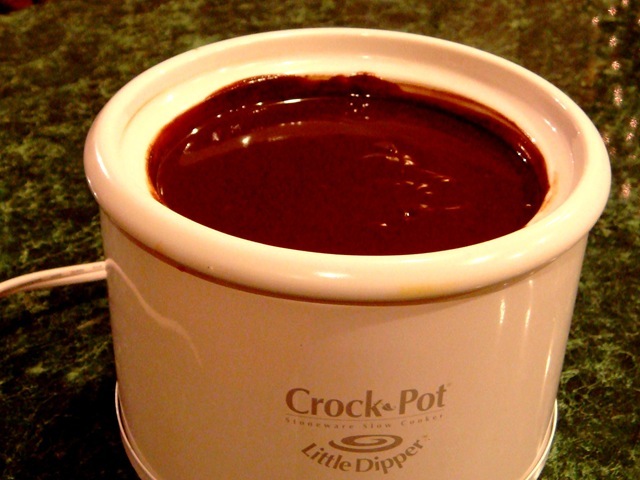 The water should stay hot enough to keep your fondue from solidifying while you eat. 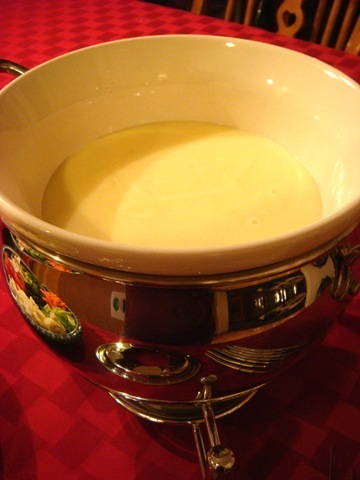 You can “make your own” double boiler by using a saucepan (one with small side handles is best) for the water and a glass or ceramic mixing bowl to hold your fondue. Single-burner tabletop butane/propane stove (camp stove). Just be sure to keep the flame on low, and on a secure surface. These work really well for broth or oil fondues where you are actually cooking things (as opposed to just dipping them) and need to maintain a higher temperature. Combine shredded cheeses and cornstarch. Set aside. In a saucepan, heat wine to a boil. Boil and reduce wine until there is only 1-2 tablespoons of liquid remaining (watch pot carefully, or you will end up with a very burned saucepan). Add chicken broth and sherry and bring mixture just barely to the boiling point. Reduce heat and stir in cheese/cornstarch mixture, a handful at a time. 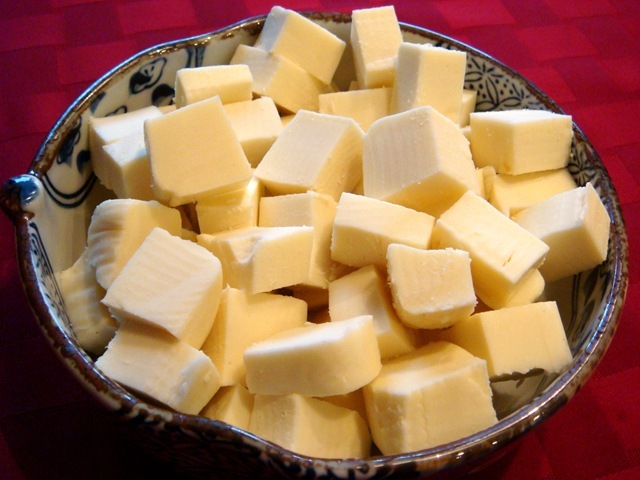 Stir in each handful of cheese until melted. Stir in pepper. 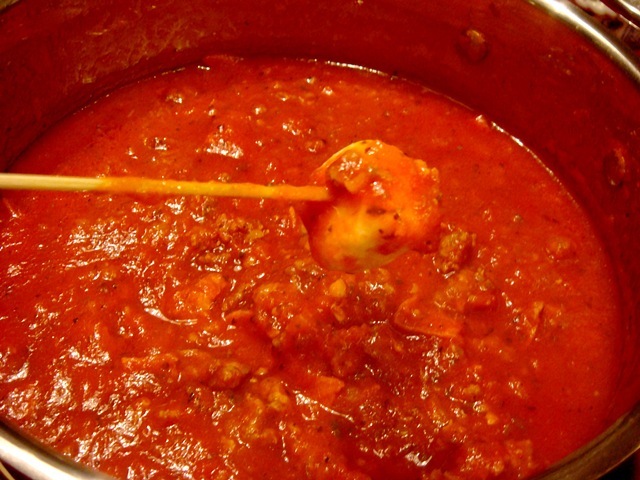 Cook until mixture bubbles gently and cheese is completely melted. Fill bottom portion of a fondue pot with very hot water. Place over flame. Rub your ceramic fondue pot insert* with the garlic clove halves. Discard garlic. 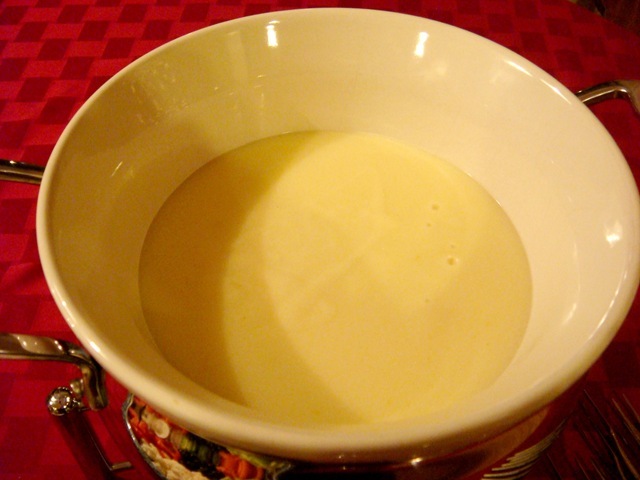 Pour cheese mixture into ceramic fondue pot insert and place over hot water. Use skewers or fondue forks to dip bread, vegetables or meats in cheese. *NOTE: Cheese fondues should not be placed directly over a flame. They will burn or clump easily. 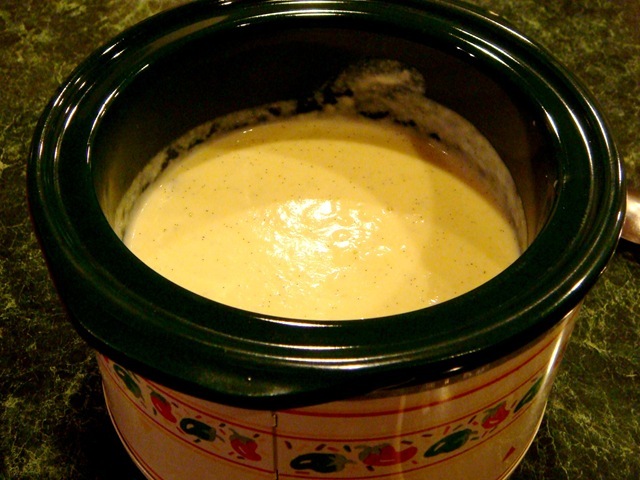 If your fondue pot does not have a ceramic insert (allowing you to create a double boiler), use a glass or ceramic bowl that fits just over the lip of your fondue pot. 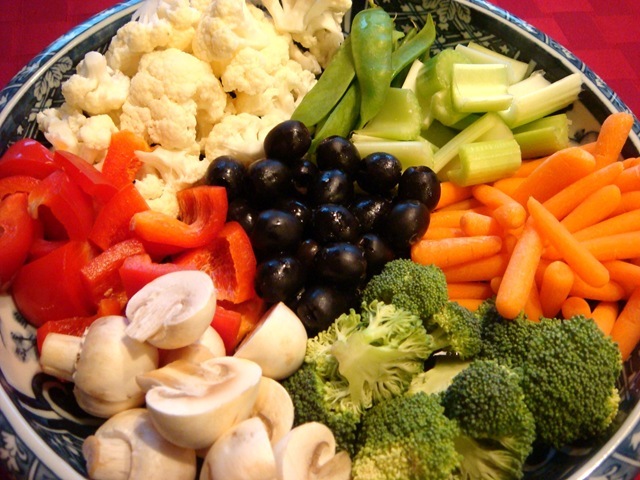 Vegetables: mushrooms, red or green peppers, whole olives, broccoli, pineapple-any of your favorite pizza toppings! Cook sausage and onion; drain. Stir in sauce, pepperoni, oregano and red pepper flakes. 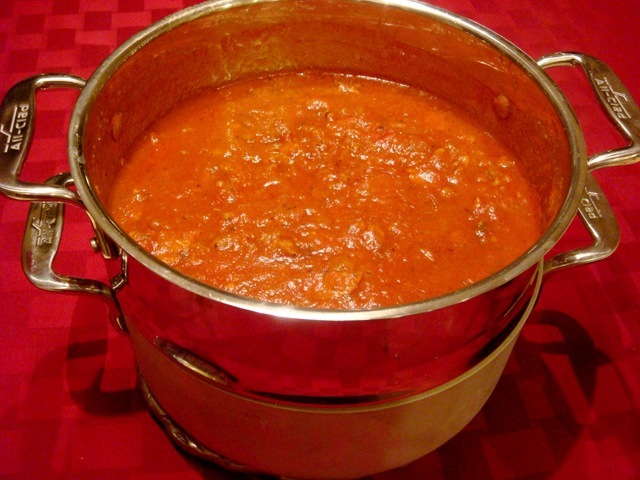 Simmer for at least 30 minutes. Or put into a crock pot and cook for 3-4 hours on low. 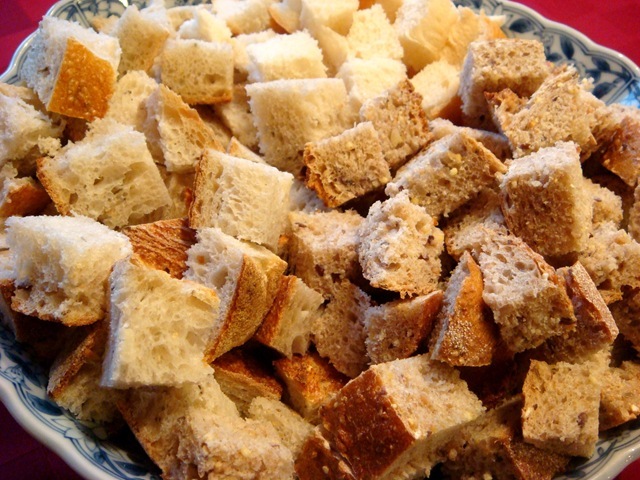 Serve in a fondue pot or crock pot with skewers to dip cubed bread, cheese and vegetables. Hint: leave your cheese in the sauce (on its skewer) for a few minutes and it will be nice and melted- just don’t overdo it or you will lose your cheese completely!